The invention of glass is arguably one of the most important and useful discoveries in our history. Metal bonded diamond grinding wheels for all applications profiling, engraving, grinding glass and crystal. Diamond metal bond discs for sawing, cutting, glass, ceramic, concrete, rock, natural stones, semi-precious stones. Metal bonded diamond grinding wheels for grinding glass, porcelain and crystal, specifically for the production of tableware (glass, vase, cup, mug, etc ...). Metal-bonded diamond grinding wheels for grinding applications, grinding edges of flat glass, tempered glass, laminated glass, especially for the automotive and construction. 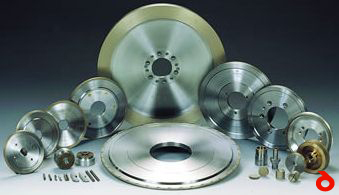 Diamond and CBN Metal bonded honing tools for applications running inside the bore, mainly in the automotive sector. Metal-bonded diamond grinding wheels for grinding applications, surface grinding, planning, polishing, beveling, glass parts or other special crystals commonly used in the optical industry.